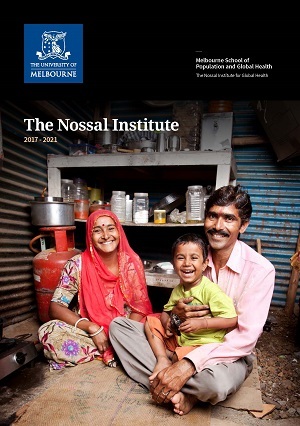 The Nossal Institute for Global Health is named in honour of Sir Gustav Nossal and his commitment to translating medical research into health for all. The Institute was established in 2006 to advocate for the public health of vulnerable communities. The Nossal Institute Ltd, which was incorporated in 1998, is a company within the Institute formed to facilitate the international consultancy work of the Institute. A better future for all through stronger health systems. To strengthen the quality, affordability and inclusiveness of health systems in the Asia Pacific through practical research, learning and development responses to contemporary health issues. Find out more about the Nossal Institute, our work, capabilities, research units and view our infographic world map featuring our selected clients and areas of work. Global Health investigates the interconnections between various countries, sectors and disciplines, by contrast, the older phrase ‘international health’ referred primarily to infectious disease in developing countries.